1547 was a common year starting on a Saturday in the Julian calendar. 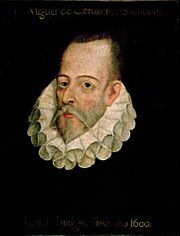 It was the 547th year of the 2nd millennium, the 47th year of the 16th century and the 8th year of the 1540s decade. 1547 was a year that marked the deaths of two powerful European Kings - Henry VIII of England and Francis I of France. 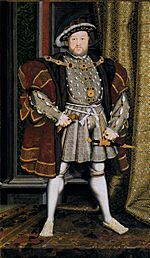 In England, Henry's nine-year-old son took over as Edward VI of England, while in France, Henry II became the next King. Also, during this year, Ivan IV of Russia was crowned Tsar. He later became better known as Ivan the Terrible. Edward VI of England becomes King at the age of nine years. January 2 - Giovanni Luigi Fieschi leads a failed revolt in Genoa against Andrea Doria. January 16 – Grand Duke Ivan IV of Muscovy becomes the first Tsar of Russia. 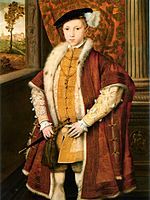 January 28 – Edward VI succeeds his father Henry VIII as King of England. Henry VIII had been King since 1509. March 31 – Henry II succeeds his father Francis I as King of France. April 4 - Catherine Parr, widow of Henry VIII of England, secretly marries Thomas Seymour, 1st Baron Seymour of Sudeley. April 24 – Battle of Mühlberg – Emperor Charles V defeats the forces of the Schmalkaldic League under the Elector John Frederick of Saxony. September 10 – Battle of Pinkie. An English army under the Duke of Somerset, Protector of England, defeats a Scottish army under James Hamilton, 2nd Earl of Arran, the Regent. The English seize Edinburgh. First printed book in the Lithuanian language. writer – Martynas Mazvydas. John Dee visits the Low Countries to study navigation with Gemma Frisius. 1547 Facts for Kids. Kiddle Encyclopedia.